The terms “bird nesting” is creeping into the family court, child custody, and parenting arrangement vernacular. We’re not entirely sure why. Bird nesting is becoming an alternative post-divorce child custody arrangement in which the divorced parents of the children move into and out of the a primary residence while the children stay-put. That primary residence may or may not be the marital residence, assuming one or the other parents was able to maintain it after the divorce was settled. We are, as yet, unaware of any situation first-hand where “bird nesting” has worked after the family unit has broken down. 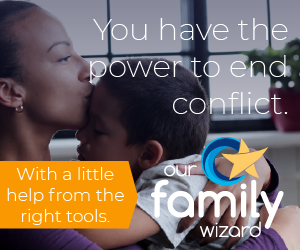 Dealing primarily with high-conflict cases, there are countless reasons why this arrangement couldn’t possibly work – namely, one or both of the parents are in near constant conflict with one another on a whole host of issues. While it might work in some seriously low-conflict cases, there are still many issues that would give parents pause. Differences in housekeeping, decorating, arrangement of furniture, dishes, etc. Privacy concerns. How do you trust someone from whom you’ve gotten divorced from damaging or stealing belongings? Rooting through paperwork and files? “Whose stuff is this anyway?” What if she doesn’t like the recliner but he does? What if he doesn’t like that painting, but he does? Who pays the rent and how much? Who buys the food? What kind? How much? What if she likes the heat on 80-degrees and he likes it on 70-degrees? Who does the house belong to? Who gets what equity if a move is going to occur? If child support orders consider things like rent, power, heat, light – should there be a downward modification? Should there be any support at all? Aside from the children not having to go from one home to another or some periodic basis, we can think of almost no positive reasons for such an arrangement. Further, if there is even a minimum of conflict between the parents, it’s very likely to unfold in front of the children. Worse, it can escalate into a situation where one parent will be making false allegations against the other for something! This is supported by three arguments: (1) compared to children of intact families, the long-term development of divorced children is comparatively normal; (2) children are not as negatively affected by post-divorce variables; and (3) children are not as affected by residential insecurity as previously thought. As shared-parenting advocates, we understand that joint custody supports positive child development adjustments. There are a wealth of additional reasons why the concept of “bird nesting” is a bad one. Another significant one, in our minds, is that the children now how to deal with processing one parent and then the other “leaving them” in an ongoing arrangement. This, at a time when they’re needing time to get used to the reality that their family has broken and will not be getting back together. The “bird nesting” arrangement may offer children false hope that their parents are still together or may somehow be getting back together at some point. The reality that they are not is something that children need to come to understand as early as possible after a divorce. “Bird Nesting” as a custody arrangement may only serve to prolong that agony for the children. We need to dispense with the notion that children moving between two households on a reasonable schedule is detrimental to their long-term well-being. Many who argue against it like to portray the situation as extreme, as if the children need something along the lines of a U-Haul truck to cart belongings, toys, clothes, books, etc. from one house to another on a week-on/week-off basis. That simply isn’t the case if the parents have all of the provisions necessary to care for the children when in their home. It has been our experience and the experience of many with whom we’ve interacted that the most children should be left to bring from one home to another – is their school-bags. “Bird Nesting” is another one of those ideas that has really wonderful intentions, but leaves just about everything to be desired in terms of execution. I am not going to get into the debate on bird nesting with you. All I am going to do is provide one fact and one thought for you to ponder. Fact: I have been participating in a bird nesting arrangement for close to a year and it is going very well for all parties involved. We will continue to follow this path for quite some time (by the way – I have a girlfriend and she understands/respects the situation). Thought to ponder: I would recommend before you dismiss the difficulty of going from one home to another all the time to try it yourself for a period of time. While I mention the nesting is going well – it is not easy. If my ex-wife and I find is stressful and challenging, think about how a 7 year old would feel about it. Try it yourself for awhile and then see if you come to the same conclusion. I think your critiques of this arrangement have some validity, but I cannot see how one could simply dismiss this as a bad idea. This works well for rich people who can afford three houses. It also works well for people willing to put their children’s interests before their own. Finally, in an era where it is difficult to get a home loan, housing prices are depressed and divorcing couples may not have the financial resources to afford two multibedroom homes, it may be the best way to provide adequate housing for minor children and preserve a marital asset–the depressed equity in a home–until the housing market bounces back. This is work. If you’re the type of guy/gal who just wants that $%$!! @ out of your life, and the only regret you have about your children is that your future ex is their parent, this will not be appropriate. Without a doubt, I agree that in some rare instances, it’s a possible arrangement. However, so few divorces and child custody battles are amicable enough for such an arrangement to work appropriately. This is more than work in all but the most friendly of splits. Your marriage is broken for reasons that don’t suddenly go away to a degree that a “bird-nesting” arrangement is going to work well. I am here to tell you first hand nesting is a very viable option and can work well. I have been nesting for three years and in my mind you only need two factors for it to work. One, two parents who despite their differences still put the needs of the their kids first. Two, the means to make it work. Everything else is secondary to the discussion. Nesting is diffrent from what you may considered “normal” in divorce, but given how horrific divorce has been for decades I would think you would welcome another solution. I’m amazed at how little homework you’ve done in voicing such a strong negative opinion. If you have a chance, please consider looking at our website: KidsStay. I’ve now spoken with a score of couples who have successfully navigated this arrangement. It’s not for everyone, but for many couples who realize how difficult it is for kids to travel back and forth between parents, and who are willing to be the travelers instead themselves, it really, really works. Rob, if you’ve really read the article and also the subsequent discussion, you’ll see our primary focus and experience is with high-conflict parents. I don’t doubt that this arrangement can work where conflict is low and parents are exceptionally focused on appropriate co-parenting, have a tremendous amount of post-marital trust… I’m sure it can work. I’m also fairly convinced that the arrangement is relative rare and can only work under the best of circumstances.